With an onslaught of alien invasions, asteroids and earthquakes predicted to come our way later this year, now's as good as time as any to peruse a few eye-catching homes fit for the end of days. January 3, 2012, 9 a.m. Happy 2012, MNN readers! Hope everyone’s New Year is off to a healthy, happy and planet-friendly start. Not to kick things off on a doomsday-y note or anything, but as you’ve probably heard, some folks are pretty darned convinced that this year is the year that the world will come to an end. And many of them are more than prepared. Boy oh boy! I, for one, am going to listen to NASA and the rest of the scientific community and not hold my breath in anticipation of alien invasions, massive earthquakes, solar storms, geomagnetic reversals, erupting supervolcanoes, planetary alignments, catastrophic collisions with meteorites and/or rogue Sumerian planets, and the release of Paris Hilton's second studio album when Dec. 21, 2012 (the end of the Mayan Long Form calendar) hits. Still, such wild, pseudoscience-y predictions can lead to ye olde imagination working overtime, which is why I thought it would be appropriate to round up a few eco- and apocalypse-friendly homes, both real (and for sale!) and conceptual, that I featured in 2011, a year when the rapture came and went without incident — not once, but twice. Most, but not all, of the below homes were designed specifically with safety and security in mind and to withstand some pretty extreme weather. But when Planet X is hurling towards Earth with a spaceship filled with aliens from the Zeta Reticuli star system trailing not too far behind, I don't think a solar-powered concrete palace in the Ozarks will do anyone much good. This past year, I featured numerous noteworthy home conversion projects. My favorites? It’s a tossup between this garage in Bordeaux and this decommissioned water tower in Belgium). However, when it comes to doomsday-friendliness, Silohome, an upstate New York residence partially built deep (as far as 185 feet below the Earth’s surface) into a decommissioned Atlas-F intercontinental ballistic missile silo, wins top prize. And if you truly believe that Dec. 21 will be rough going, you’re in luck: this “unparalleled 3,900-square-foot subterranean luxury estate with Cold War flair” is currently on the market for $750,000. For those of you looking to ride out the end of days in modernist style, look no further than KWK Promes’ Safe House. Located in the idyllic Polish countryside, this impenetrable — yet stylish and sustainable — fold-up concrete fortress features an array of “maximum security” bells and whistles including a drawbridge. (A drawbridge! How perfect for deterring homicidal home invaders, marauding mother-in-laws, noisy neighbors, aggressive Avon ladies, and, of course, whatever unsavories just happen to be unleashed on Dec. 21.) 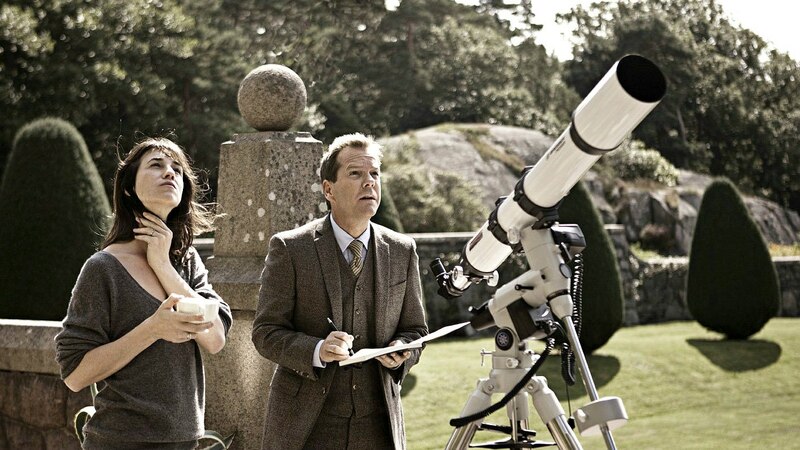 I’d like to think Safe House is where Claire, Charlotte Gainsbourg’s doomsday-obsessed character in “Melancholia,” would have fled to if she had had the chance to escape from her husband’s lavish golf resort. Pensmore – Christian County, Mo. At 72,000-square-feet, Pensmore, a concrete “residential chateau” under construction in rural Missouri, is larger than the White House, the Hearst Castle and even, gasp, Candy Spelling’s old digs near Beverly Hills. Naturally, this Ozarkian behemoth has managed to raise a heck of a lot of eyebrows especially given that the man behind it, concrete kingpin Steven Huff, is touting his aboveground bunker’s eco-friendly features, calling the 13-bedroom home “a modern, practical implementation of the Jeffersonian concept of independence and sustainability.” And in addition to sustainability, Huff is also touting features that may come in most useful during a doomsday scenario: Pensmore is built to withstand an F-5 tornado and I’m guessing a slew of other natural disasters. However, the jury is still out as to how Pensmore would hold up during an alien invasion or solar flare. Although interpretations of what exactly will go down on Dec. 21, 2012 vary, none of them sound all too appealing (take it from me and don’t accidentally watch the 2009 Nicholas Cage film “The Knowing” before boarding an early morning flight). If doomsday hits and you’re looking to make a quick escape but can’t bear to leave your home and all of its contents behind, consider Bangerter Homes’ whimsical reproduction of the floating home featured in Disney/Pixar’s “Up.” Located in the Salt Lake City suburb of Harriman, this 2,800-square foot, Key West-colored Victorian isn’t actually designed for take-off. And besides, Armageddon will have come and gone before the local HOA gives you permission to affix thousands of helium balloons to the chimney in hopes that the winds will carry you to Bugarach, France. So let’s say, hypothetically, the world as we know it truly does go to hell in a plus-sized hand basket on Dec. 21, 2012. But what if, instead of a series of cataclysmic events or a collision with the alien planet Nibiru, Mother Nature decides to pull a “The Walking Dead” on us? If doomsday turns out to include marauding hordes of flesh-eating zombies, Zombie Ranch, a vertical farm/fortress that pairs self-sufficiency with living dead-proof security features, may be mankind’s only hope. And get this: the Zombie Ranch housing concept is a self-sustaining, eco-friendly one. Instead of fossil fuels, the cantilevered structure is powered by a most interesting renewable energy source: the zombies themselves.